We are pretty excited about our new blend specifically designed for women. Designed to enhance beauty within and out, it’s full of amazing super foods that look after your health, skin, hair & energy. A huge dose of vitamins and minerals, and a great way to detox. 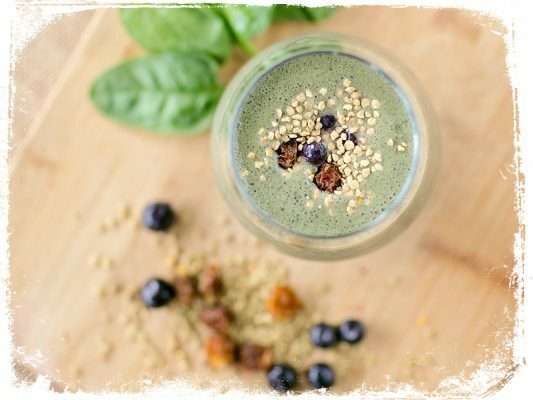 Huge amounts of antioxidants, and serotonin-boosting happy chemicals and of course that rich chocolate flavour. The super fruit from Chile promotes a healthy heart and helps with weight management. Hormone balancing, super-nutritious, libido boosting wonderkind. Maca is our specialty. Maca for mood and hormone balancing. We are kinda famous for our Certified Organic Maca Powder that is grown in Peru by traditional farmers at a high altitude – the way it has been grown for millenias. There has been plenty of research to show that Maca acts as an adaptagen in the body, helping to balance hormones and improve mood. A must have for all women and adolescent girls!! I don’t know what it is about this product but it’s a miracle worker. It’s cleared up my skin, helped my appetite, given me more of an appetite and picked my mood up. I can’t imagine ever taking this out of my diet. 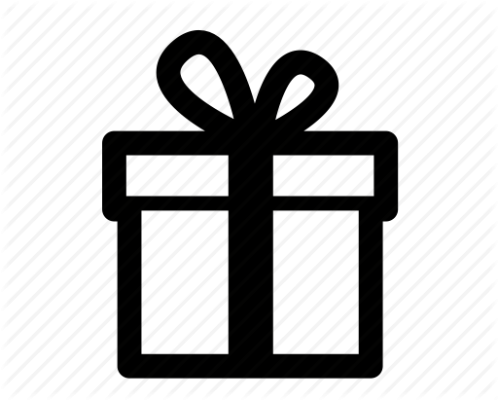 I bought this for my partner and she loved it. The powder is so convenient to use in smoothies. I’m loving the Divine Woman, I have it in the morning in a smoothie. Wheat Grass for nutrition and detox. Our Certified Organic Wheatgrass is proudly 100% Australian. It is grown, harvested and powdered in Swan Hill, Victoria. A widely-enjoyed use of wheatgrass is in regular small doses for the purpose of detoxifying. Some people believe that the high chlorophyll content is an effective agent for ridding the body of heavy metals. As chlorophyll is similar in atomic structure to our own red blood cells, it is easily absorbed by humans and helps the body build red blood cells which carry oxygen to every cell, improving regular blood flow throughout the body. Cacao for its anti aging and mood boosting effects. Our Raw Cacao Powder comes from Peru where it is considered native. Cacao is actually the unrefined bean that chocolate comes from and it is known for its antioxidant and energy boosting effects. 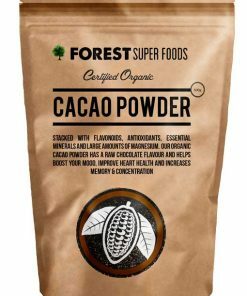 Stacked with flavonoids, antioxidants and essential minerals including large amounts of magnesium, the rich taste of organic cacao powder can be added to a wide variety of dishes to deliver an incredibly rich flavour along with a range of health benefits. It has 4x the amount of antioxidants of goji berries, helping protect the body eradicate free radicals. 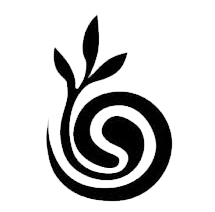 Free radicals are unstable chemicals that damage cell membranes and attack healthy cells which can lead to disease and damage of the body. Raw cacao powder is so high in antioxidants it tops the ORAC chart (Oxygen Radical Absorbance Capacity), a rating system devised by the USDA to measure levels of antioxidants in food. 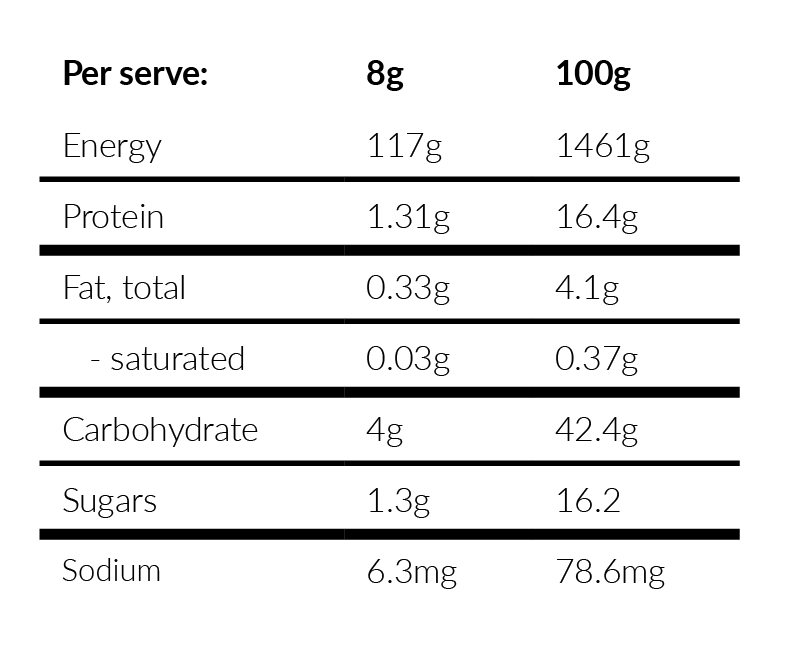 Along with its high antioxidant content, cacao powder contains a massive 10% total flavinoid content. 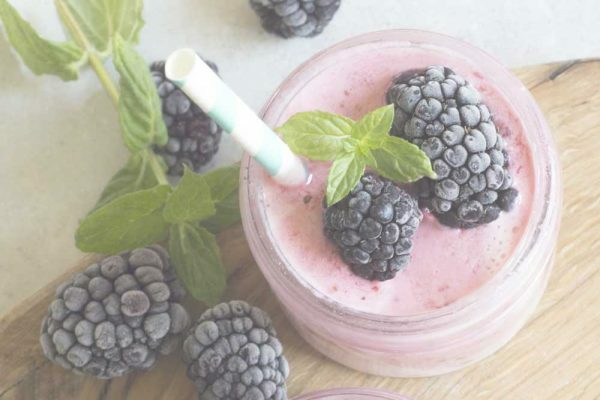 Flavonoids can have a substantial positive impact on overall heart health, and are have been shown to prevent various types of cardiovascular disease. Camu Camu for skin & inflammation. With up-to 60 times more vitamin C, 10 times the iron and three times more niacin than oranges plus a host of other health benefits, Camu Camu also contains powerful pytochemicals and helps reduce inflammation through it’s high vitamin C content and antioxidant properties. Just 1/2 a teaspoon of Camu Camu equals 400% of the recommended intake of easily digestible Vitamin C! Maqui (10%) for weight management and heart health. Our Certified Organic Maqui comes from Brazil where it is wildly harvested from the forest. Maqui has been found to cause a better increase in insulin in the body than any other plant. This means it can help to suppress blood glucose which means more energy and the avoidance of the forming of new fat cells. Some studies have shown that Maqui might help to prevent the oxidation of cholesterol in the blood. Oxidation of cholesterol has been linked to heart attack, stroke and the hardening of the arteries. Chia Seeds for iron levels & brain/heart health. Offering eight times more concentrated Omega-3 than salmon, lower cholesterol naturally with these amazing seeds originating from Mexico. High levels of protein help build muscle and regenerate cells, while a concentrated dose of magnesium relaxes the nervous system. Start with one tablespoon and work up to two tablespoons (8 grams) over a two week period. Add to your favourite smoothie or your choice of milk and mix thoroughly. 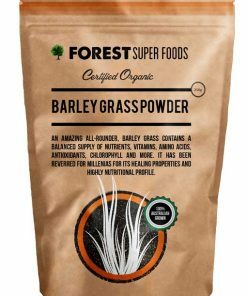 Organic Maca Powder,Organic Australian Wheat Grass, Organic Camu Camu Powder, Organic Cacao Powder, Organic Chia Seeds, Organic Maqui Powder. 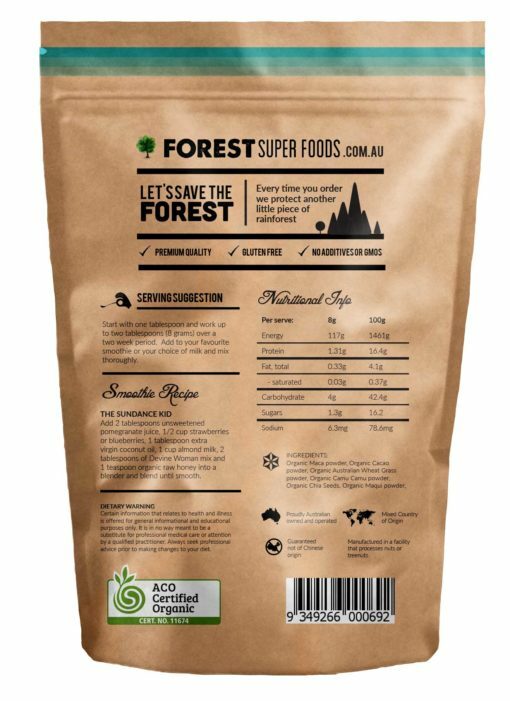 Maca – Preu, Wheat Grass – Australia, Cacao Powder – Peru, Camu Camu – Peru. Maqui – Chile. I love the Divine Woman product, all essentials in one. Tastes great and since taking it for about 1.5 months, I feel happier and more energetic. This brand really does use superior quality products because compared to other brands, their texture is so smooth and almost creamy. Would definitely recommend this blend to all the other women out there!!! A must have for all women and adolescent girls! I don’t know what it is about this product but it’s a miracle worker. It’s cleared up my skin, helped my appetite, given me more of an appetite and picked my mood up. I can’t imagine ever taking this out of my diet. 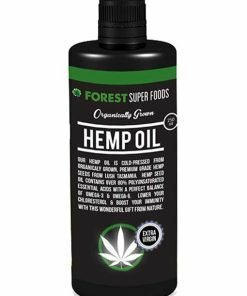 High quality hemp seed oil grown in lush Tasmania, and made from only premium virgin hemp seeds. 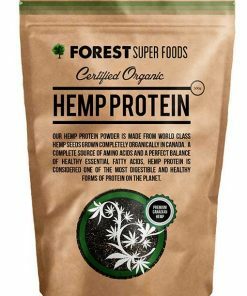 Hemp has all the amino acids and essential fatty acids. b of the oil contains 95% of the RDI for Omega-3, which helps to reduce inflammation, lower blood pressure and decrease the risk of heart disease. GLA containing Omega-6 balances hormones, and reduces inflammation to help with arthritis and joint pain. 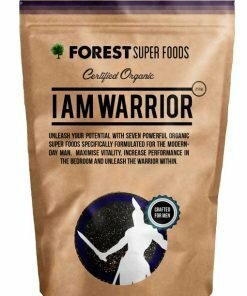 I Am Warrior is the all natural, organic super food mix for men who want to get the most out of life and love. 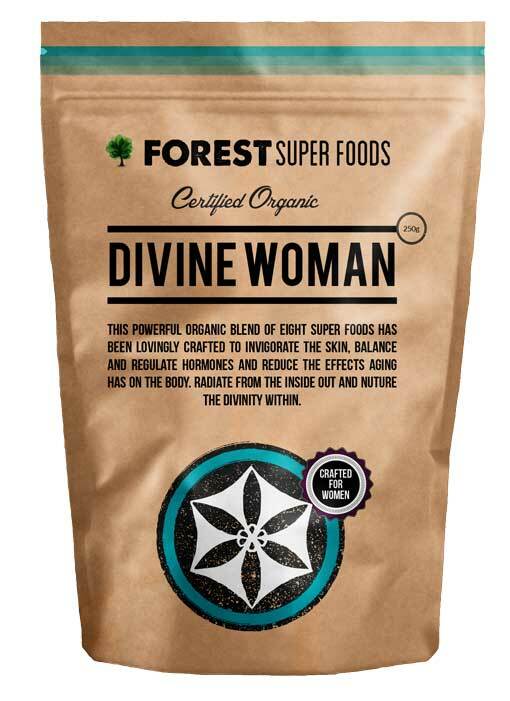 This brand new blend contains 5 of our favourite super foods that when combined help to improve your sexual performance, brain power, muscle density, energy levels and immunity.